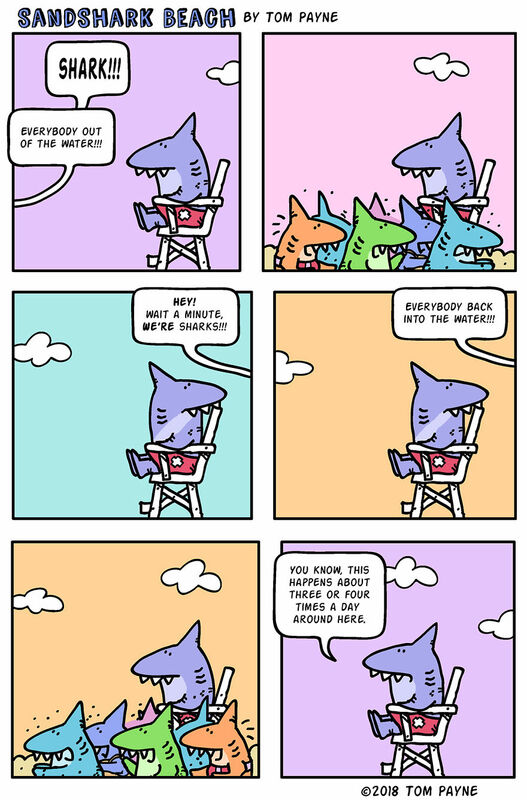 Every Week Is Shark Week At Sandshark Beach. 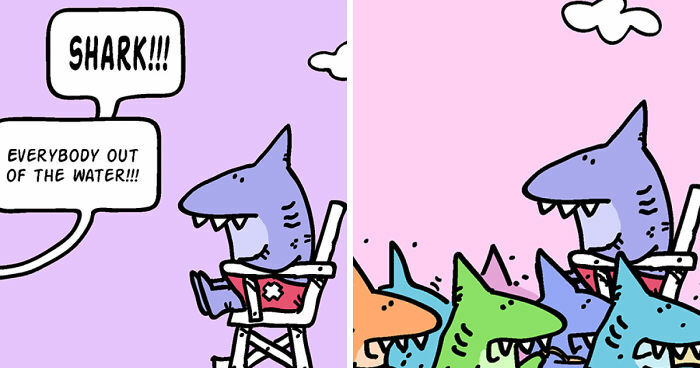 I’ve combined my love of sharks, the ocean and the beach with my career as a cartoonist to make SandShark Beach. 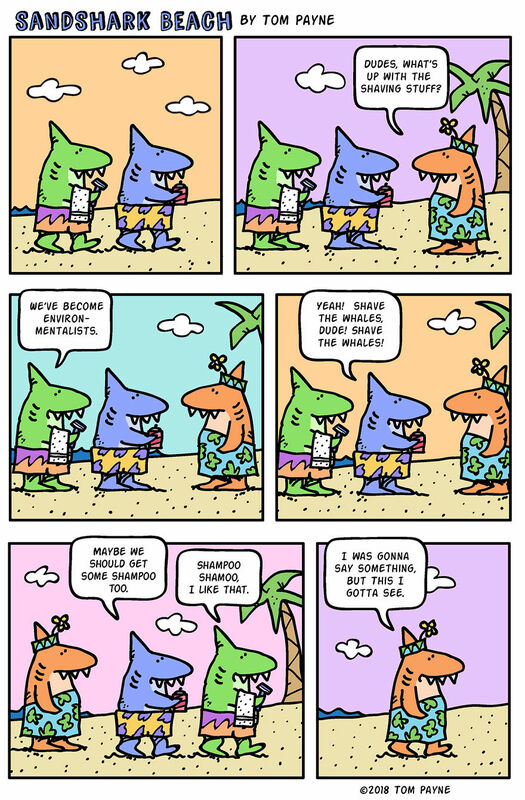 Here are a few recent strips and check out my website sandsharkbeach.com! 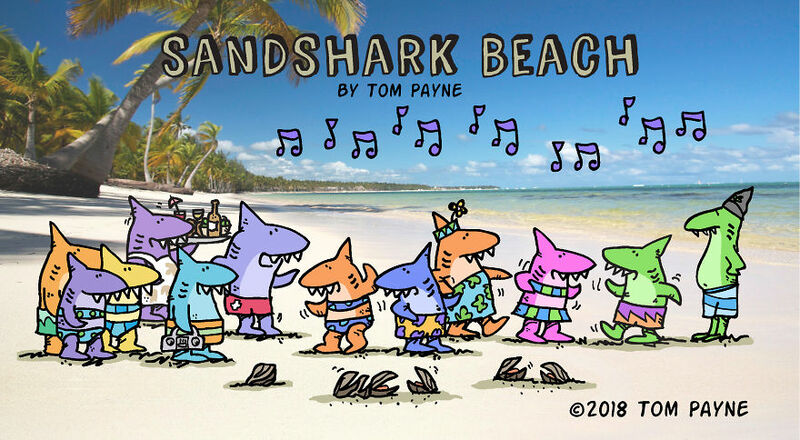 SandShark Beach is a webcomic created by Tom Payne. 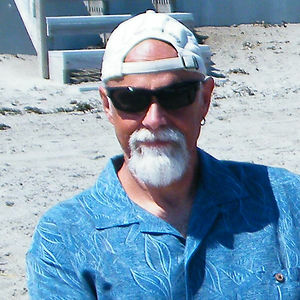 Dude, it's all about soopid fun at the beach. Wax up yer board put some white stuff on your nose and chill out! I love these! Please make more!